the Garifuna Settlement Day holiday was created by Thomas Vincent Ramos in 1941? Thomas Vincent Ramos lived from September 17, 1887 to November 14, 1955 where he passed away in his Stann Creek home at the age of 68. Ramos was born in Puerto Cortes, Honduras but later moved and spent most of his life living in Belize. He worked as a school teacher and was known for being a Civil Rights Activist with primary concern being the lack of health and financial facilities to aid the Garinagu living in Dangriga. 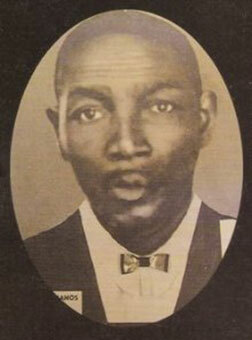 He formed the Carib Development Society as a way to help the sick and render financial aid to bury their dead. Ramos also fought against the discrimination of the Garifuna people. His most well-known effort was when he lobbied the Governor to establish a Public and Bank Holiday to commemorate the arrival of the Garifuna in Belize. His request was granted and Garifuna Settlement Day, which was first known as Carib Disembarkation Day, was first celebrated on November 19, 1941 only in Stann Creek District, then later in Punta Gorda and Toledo in 1943 then country-wide in 1977.